76th Annual Homecoming Festival !! The Strongsville Chamber of Commerce is proud to sponsor its 76th annual Homecoming. This huge event, held on the Strongsville Commons from July 25-28, promises to be bigger and better than ever. A sponsorship of Homecoming is a great opportunity to express your support for our community and advertise your business. We are expecting a larger crowd than last year, especially on Saturday with a fireworks display that can be viewed from the commons. 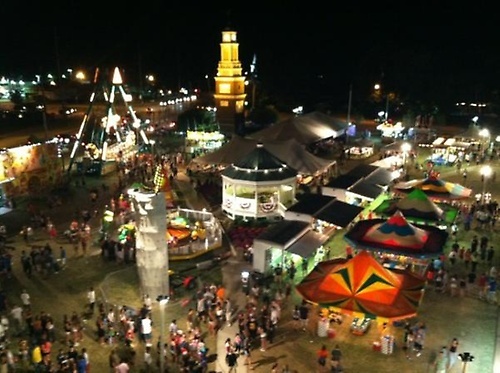 The Homecoming Festival is held on the Strongsville Commons located at the corner of Rt. 42 (Pearl Road) and Rt. 82 (Royalton Road) one of the busiest intersections in Cuyahoga County. Your company name will be displayed on our full color, state of the art digital sign (for 2 weeks) and on your sponsorship signage. Both are located at the Rt. 82 & Rt. 42 intersection. Your Sponsorship will also include your name in all of our print ads, listed on our website and in our newsletter.